Just when I had decided that terrible twos were a real thing, turns out three is just as bad! Last week, M, my almost 2.5- year old rubbed a whole jar of Vaseline on the carpets and the walls when I turned away for about 2.5 seconds. So yes, I instantly related to this book. And I got a real kick out of the fact that other parents are going through the same hell as I am. And that is weirdly comforting. 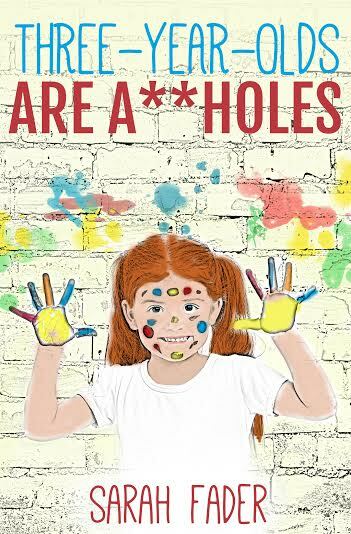 The book is about little Samantha, who like any three year old wants everything to go her way or all hell breaks loose. Deep inside, every mom knows that her little one is not deliberately being naughty, they’re just exploring, but when she sees unidentified goop on her child and on the floor at 3 AM, calm parenting goes out of the window! Thankfully, this hasn’t happened to me so far but if and when it does, I know I won’t be as calm and composed as the mom in the book was. Good things do come in small packages. This is a short book. But its 52 pages pack some serious punch. Right from the unapologetic, unabashed title, it is refreshingly honest. Sarah Fader has deftly put in words what all of us as parents go through and feel from time to time. And it is really really funny. This isn’t a typical ‘parenting’ book, but we need humor to keep us sane and to see us through the agony (and ecstasy) of motherhood. And that is why this is an important book. Also, the message at the end of the book is really heartfelt – that it is okay to feel stressed when kids drive you up the wall, but this too shall pass. We all need that reminder from time to time. Our three year olds may drive us crazy at times, but we love them to bits anyway. **I received a free copy of the book from the author in exchange for an honest review. Sounds interesting enough to read!